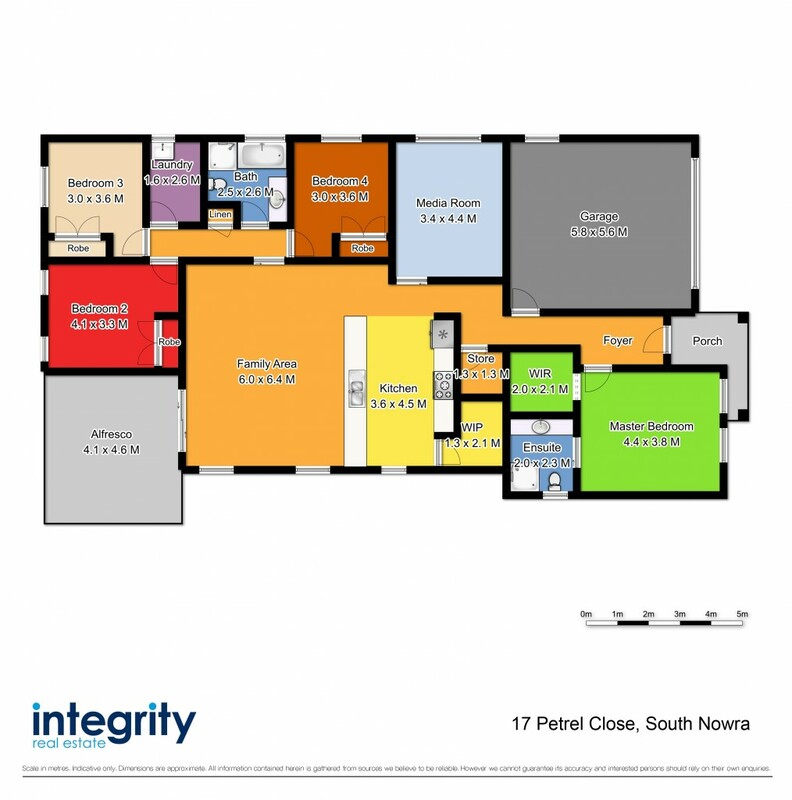 Light filled contemporary spaces, an enviable lifestyle and a sought after location are all the trademarks of this well presented South Nowra home. It offers bright, open plan living with a north outlook, with mountain views at the end of a quiet cul-de-sac and definitely leaves a lasting impression on any visitor. Accommodation includes 4 generous bedroom, all with built-in's (master has a walk in robe and ensuite). The stylish and modern kitchen is immaculately presented and looks onto the open plan dining and living areas and you can relax in your additional enclosed media room. With large glass doors leading out to your outdoor entertaining area all located on a surprising roomy 630sqm block. You will love being the ultimate entertainer with this perfectly located family home. With so many added extras including ducted air-conditioning, plantation shutters throughout and remote control shutters on front external windows for added privacy, gas stove top and chefs oven, with a modern main bathroom with a shower, bath & vanity, side access to the backyard and all located in the best street in South Nowra and it is only just 3 years old (approx). This is one you will not want to miss.